Mohsin-Pakistan is the renowned personality of Pakistan. As profession he is a scientist. He used his knowledge for the prosperity of the Muslim Nation. He made Pakistan stronger and undefeatable. He laid the foundation of Atomic Energy commission of Pakistan. He was in the list of top class Pakistan scientist who took part in the formation of atomic bomb. As a reward Govt. of Pakistan rewarded him with two national awards. He is so popular in Pakistan. Even every child in Pakistan loves him a lot. This great personality is known as Mohsin-e-Pakistan. Name is Dr. Abdul Qadeer Khan. He is the pride of Pakistan and a national hero. He is master of gas centrifuge enrichment of uranium. He was born in 1st April, 1936 in Bhopal, India in an Urdu Speaking family. After partition his family migrated to Pakistan in 1947. His father was an educational officer in India. So due to his education Dr. A.Q have a dream to get higher education. After getting his basic education from Lahore and Karachi he went to Karachi University for B.Sc. Metallurgical engineering. 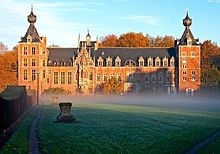 Then he went to berlin for master degree and di his doctorate from Catholic University of Leuven, Belgium. Then he did work in physics dynamic research in in Amsterdam. Then he joined URENCO group, where he did his research on Uranium enrichment. Then in 1970’s he came to Pakistan. With his true patriotic emotion he did hard work for prosperity and long life of Pakistan. His work became fully fruitful in 28 May, 1998 when Govt. 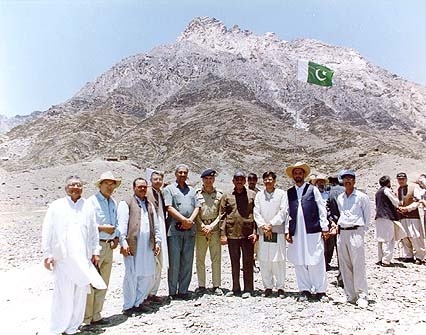 of Pakistan performed openly nuclear test. Dr. A.Q Khan is the asset of Pakistan. 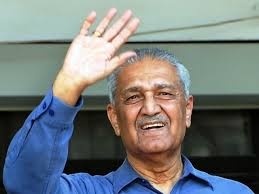 We respect and love Dr. A.Q Khan for his devoted work for severity of Pakistan.